Not new to forum, but new as a member. 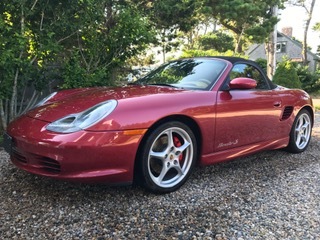 2003 Boxster S, 33K, 6-speed, factory aero kit, Borla exhaust, Orient Red, Savannah Beige. That is a beauty. Love the Red and Beige.